Perhaps it is true that the church has been out of balance in the preaching of “hellfire and judgment” to an unhealthy degree. There may still be some churches that struggle with this but I think that more have swung the pendulum the other way and do not talk about Hell at all. They do this because talk of judgment and damnation are not attractive to those who might be visiting or only nominally attend. They prefer to emphasize the love of God. 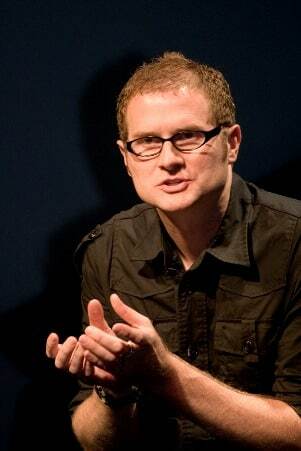 I have not read the book Love Wins, by Rob Bell. But from the reactions to the book, I gather that Mr. Bell has softened the teaching on Hell to the point where many have accused Mr. Bell of being a universalist, one who believes that all people go to Heaven. The problem with avoiding or negating teaching about Hell and punishment is that we then become negligent in our duty as Christians to make disciples. Right discipleship is to be based on truth and should include all the truth of Scripture. So while we need to use wisdom in how we present the reality of Hell and judgment, we cannot negate or avoid the clear teaching of Scripture on the subject. The Apostle Paul does not seem to have been reluctant to mention the idea of judgment. When he was presenting the case for Christ before Felix, Paul spoke about “righteousness, self-control and the judgment to come.” (Acts 24:25) Paul was clear that there is a consequence to not accepting the provision of Jesus Christ to deal with our sin. The reality of judgment should motivate us to be more open about what we believe. It should be a motivation for the spread of the Gospel. Walk into any public place in America and stop and realize that many (perhaps a majority) of those who are around you are likely to face that judgment if someone does not intervene in their lives. This should be a sobering realization and should spur us to action. As Paul reminds us in Romans 10:17, “faith comes by hearing.” But for someone to hear, it is necessary for someone like you and I to speak the words of Christ. May we resolve to be bolder in our witness for Jesus Christ in 2013? There are consequences if we do not. If what the Bible teaches about our final destiny is true, Jesus Christ is not a nice-to-have, like a bigger television. Jesus Christ is a need-to-have like air, water and food. If we claim to be spending time in fellowship and service of Jesus, like those he healed in the Gospels, we should be eternally affected and it should show to those around us. Perhaps the effect that Jesus has had upon us is the greatest apologetic. It is important to think about what we say to a world that needs Jesus. Some of our cliches are not helpful. In this post I consider one and explain why I think this cliche should be avoided.